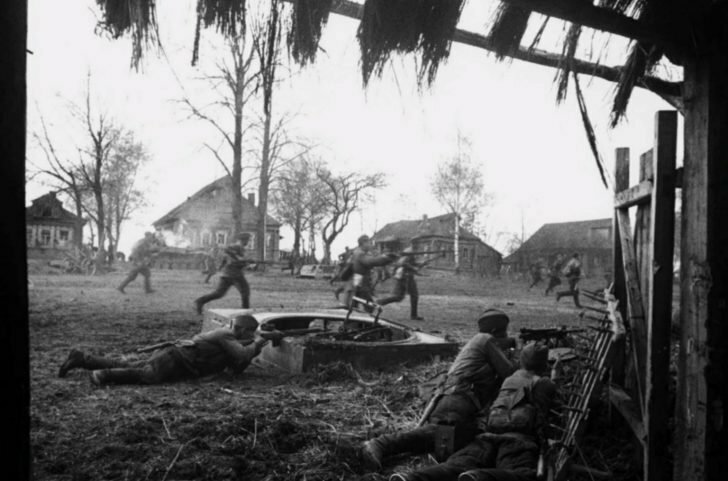 Battle for Moscow: Soviet counterattack in the village. Western Front of the Red Army. In the foreground is a fragment of the hull of the destroyed German Panzer III medium tank. Author’s title – “Fight for the village”.